Can You File a Lawsuit If You Sign a Waiver? Being in an accident can be scary, especially if you have been injured. It may leave you wondering what to do next. The Manchester slip and fall law firm of Manning & Zimmerman will be by your side, step-by-step, throughout the legal process. 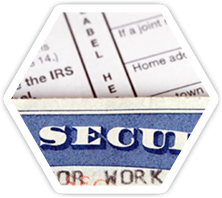 When participating in certain activities that are deemed to be risky, you may be required to sign a liability release or a waiver before you are allowed to proceed. But what happens if you are injured after signing that release? Will you still be able to receive a settlement for your injury? 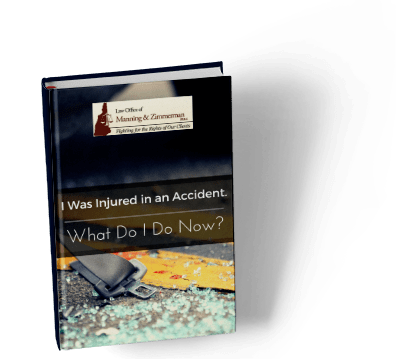 Those are questions that your NH personal injury attorneys will be able to answer for you. Laws can vary from state-to-state, but the following information is informative about waivers in general. Can you still file a lawsuit if you sign a waiver? Wrongdoing that was deliberate. If the organization deliberately cut costs on equipment that caused an injury, they could be at fault despite the wavier. Negligence on the organization’s part. The waivers typically will not cover any injuries that happen due to carelessness or acts that could have been prevented. Children who are under 18 and sign a wavier usually are not allowed to sign a waiver on their own, so it will likely not be binding. The same goes for adults who do not have the mental capacity to sign a waiver on their own. Fraud. If the organization does not disclose all of the risks, then the waiver could be void. As a participant in the activity, you need to be made aware of all the risks involved. The New Hampshire personal injury lawyers at Manning & Zimmerman Law would be pleased to discuss your matter with you and be your partner throughout the process. Our Manchester slip and fall law firm is experienced and prepared to deal with any situation that may arise. For a free consultation, please feel free to call us at (603) 210-4464, send us an email to info@MZLawNH.com, or reach out to us using the “contact us” or chat feature on our website. Manning & Zimmerman Law invites you to subscribe to our newsletter. You can also follow us on Twitter. While the Manchester personal injury lawyers at the Law Office of Manning & Zimmerman are used to being asked how much a client’s claim may be worth, the answer depends on a variety of factors. Many of these factors revolve around how a claims adjuster views a particular case. The Manchester personal injury lawyers at the Law Office of Manning & Zimmerman can explain that having prior claims and/or preexisting injuries can impact the value of your claim. It is important that you provide you attorney with any information regarding prior claims or injuries so that he or she can work with you to determine which damages are related to the current claim. In some instances a dormant condition is exacerbated or aggravated by a new injury, and you should be entitled to compensation for this as a part of the damages suffered. The Manchester personal injury lawyers at the Law Office of Manning & Zimmerman can explain that a common insurance adjuster tactic is to attempt to blame the claimant for the accident or damages after the fact. They can sometimes be creative in their claims. For example, they may say that the claimant is responsible for not having taken sufficient steps to avoid an accident, even when the other person is clearly at fault. Likewise, if the claimant did not immediately seek medical attention this can be used to argue that the individual was not really injured and/or suffered an unrelated injury at a later date. The Manchester personal injury lawyers at the Law Office of Manning & Zimmerman may warn the claimant that the claims adjuster might claim that the claimant did not quickly and efficiently mitigate his or her damages. If the claimant is found to have aggravated his or her own medical conditions, the claims adjuster may offer little or nothing for the medical portion of the claim. Another way that a claims adjuster may decrease the potential value of a settlement figure is by claiming that the claimant’s premiums will go up if the settlement is not low. The claimant may agree to a lower settlement in order to save money in the long run. If you would like more information on factors that can impact the value of your claim, contact the Manchester personal injury lawyers at the Law Office of Manning & Zimmerman, PLLC by calling (603) 624-7200. The Law Office of Manning & Zimmerman invites you to join in the national celebration of Constitution Day, a time to recall the liberties our Constitution sought to protect, preserve and uphold. 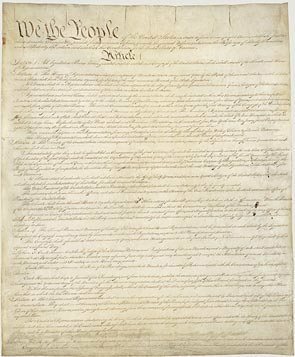 These fundamental rights are the glue that holds our nation together. Yet, many Americans aren’t aware that the 7th Amendment, which guarantees our right to a trial by jury in civil cases, is currently under attack. Advocates of “tort reform” are pushing for an overhaul of our civil justice system, which would change the centuries-old common law and is in stark opposition to the vision of our Founding Fathers. The 7th Amendment is based on the centuries-old belief that the best way to protect individuals from the negligence or misconduct of others is through a trial by jury. We believe this fundamental right is under attack today for the same reasons it was targeted during the American Revolution: political power and financial gain. For information on this important subject, please see our latest You Should Know newsletter. If you are contemplating hiring a Manchester personal injury attorney, you may wonder whether there will be any money left for you after attorney fees, medical expenses, and other costs are paid following a settlement or court judgment in your favor. 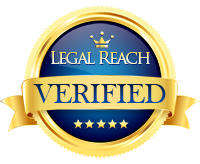 The reality is that this is one of the most commonly expressed concerns of people like you debating retaining the services of an experienced Manchester personal injury attorney. As a matter of practice, a Manchester personal injury attorney bases the calculation of attorney fees upon a percentage of the actual settlement or judgment obtained by you in a case. In addition, those attorney fees are not due and owing until you actually obtain a settlement or judgment in your favor. Before retaining a Manchester personal injury attorney, you reach an agreement with that lawyer regarding the percentage that will be paid. In this way, you understand exactly what your obligation is in regard to attorney fees before you engage such a professional. In pursuing a personal injury case, certain costs are incurred. Typically, a Manchester personal injury attorney pays on your behalf these various costs. For example, you may need a medical expert to testify on the extent of your injuries and how they impact your life today and into the future. These costs will be deducted from any settlement or judgment you receive in a case. This money is used to reimburse the lawyer who paid these costs on your behalf in the first place. As part of a settlement or judgment in a lawsuit, a specific allocation is made to cover medical bills incurred to date as well as medical expenses reasonably expected to be faced in the future. A skilled and experienced Manchester personal injury attorney is adept at reaching a settlement or obtaining a judgment that includes enough compensation to cover medical expenses without encroaching on other elements of compensation awarded to you via a claim or lawsuit. The surest way to ensure that you obtain the compensation you are entitled to after suffering a personal injury because of someone else’s negligence, is by contacting the Law Office of Manning & Zimmerman PLLC. The firm can be reached by phone at (603) 624-7200. A Manchester personal injury lawyer from the firm will schedule an initial consultation at no cost to you. Originally, wrongful death statutes were created to provide financial support for widows and orphans and to motivate people to exercise care to prevent injuries. A Manchester wrongful death attorney at the Law Office of Manning & Zimmerman can explain how compensation will be determined in the event of a wrongful death. The insurer will look through the lifetime earnings of the decedent and how much they would have made had they not died. Jobs in which a person had consistent increases in wages and had been promoted regularly are usually not an issue. Without a regular working history, there could be a greater problem verifying how much would have been made. Also taken into consideration is any pain and suffering and loss of enjoyment of life experienced by the deceased. The amount that must be paid for the funeral is generally a small amount in comparison to wages. As for loss of consortium, a spouse who has lost their significant other will be deprived of their companionship and everything that goes along with it. If you have questions about payments in a wrongful death case, a Manchester wrongful death attorney at the Law Office of Manning & Zimmerman, PLLC can help. Call us at (603) 624-7200 / Toll-Free (800) 984-3151.